A true social entrepreneur, Luke has an impressive career been building and scaling social enterprises locally and internationally for over 10 years. As the Executive Director of Vanguard Laundry Services, Luke is committed to providing employment and training opportunities for long-term unemployed people with an experience of mental health. He believes in the power of the positive ripple effects of paid employment for marginalised people; providing security, economic wellbeing and an opportunity for social engagement. James has a varied and extensive career in the non-profit sector, working across many areas including education, disability, community development and child protection. As the Acting Executive Director of the Stroke Association of Victoria, James is dedicated to providing holistic support for stroke survivors re-starting their lives and regaining their independence. James also chairs the biannual CEO forum for non-profit leaders. Did you know Indigenous Australians are three times more likely to be unemployed than non-Indigenous Australians and only one in seven Indigenous Australians are in highly skilled occupations? As a proud Aboriginal woman born and raised on the lands of the Gadigal people of the Eora nation, Jocelyn is passionate about supporting the growth and prosperity of Indigenous business, as a powerful driver to tackle social disadvantage. 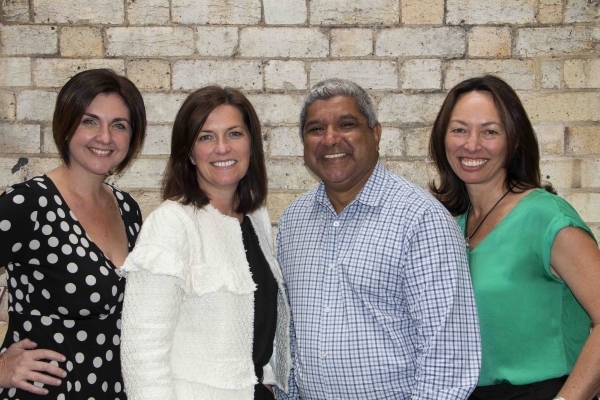 In her role as CEO of First Australians Capital she is enabling the economic development of Indigenous communities.